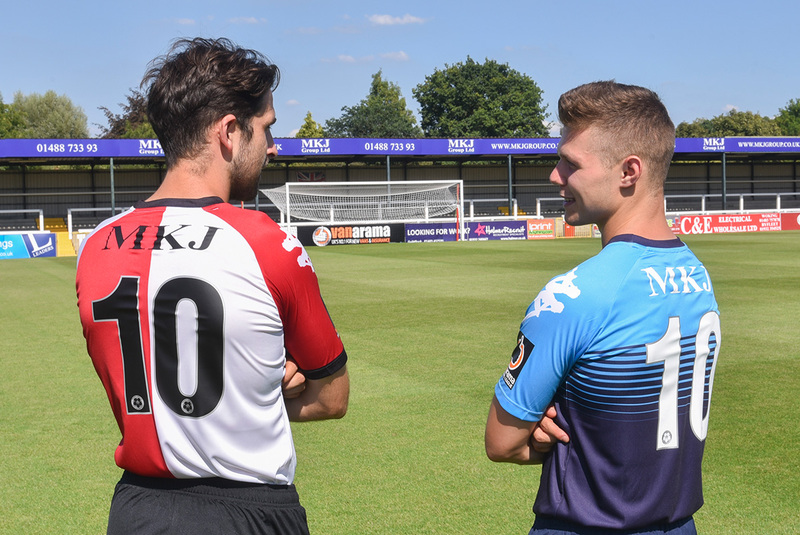 Woking Football Club is delighted to announce another major new sponsorship partnership with MKJ Group Limited, who will be covering both the Kingfield Road End and the back of the team shirts. MKJ are based in Lambourn, Berkshire and specialise in cable infrastructure and rural broadband. John Fortune, one of the Directors of MKJ, commented: "We first got involved last season and sponsored a number of games and have quickly grown to love the club and what it represents. This year we want to reflect our ongoing commitment to Woking FC and look forward to the club prospering both on, and off, the field. It was especially good to kick start the season with a hard fought 3 points." Jess Holmes, Commercial Manager, responded that: "It is great to have MKJ on board and they have quickly become good friends of the club. They are excellent sponsors and our hope is that both they and Woking FC will go onto bigger and better things this season. We would also like to thank all club sponsors, in whatever capacity, for their commitment to Woking Football Club."